This year's World Migratory Bird Day theme is "Protect the Birds: Be the Solution to Plastic Pollution!" Bring the whole family to New Mexico Wildlife Center to help us celebrate wild birds and find ways to reduce the dangerous impact of plastics on them. 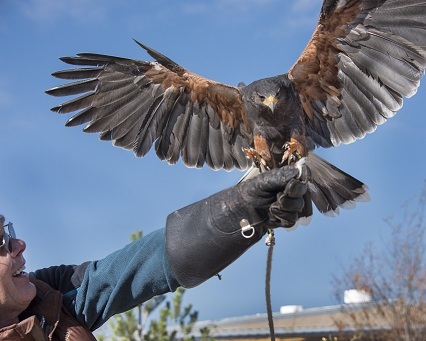 See wild birds close up, watch live raptor presentations, learn about native species and how we can improve their habitats, have fun with activities for all ages, meet others in our communities who are working to help birds, and more. Food will be available for sale. NMWC's mission is to connect people and wildlife for an abundant tomorrow. This event provides an opportunity for all of us to work together in creating an abundant tomorrow. We hope to see you there! For more information, call 505-753-9505.